Elections Commission (EC), on Thursday, has declared that the commission will not restrict any international media from covering the upcoming presidential elections slated for September 23. 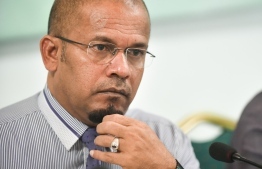 EC’s statement came amidst concerns by international media to the opposition coalition's presidential candidate Ibrahim Mohamed Solih (Ibu), over the government’s alleged refusal to allow international media to cover the 2018 elections. In the statement, EC expressed concern over foreign media spreading false information on the coverage of the upcoming elections and urged all media to refrain from doing so, in order to maintain the public’s trust. EC added that all media are encouraged to cover the presidential elections in accordance with the Constitution. Solih, in a tweet, claimed to have received concerns from international media outlets alleging that the government wished to prevent foreign press from reporting on election. He further called on the government to reverse any steps that may have been taken against international journalists. 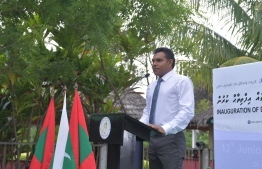 Maldives Immigration had earlier mandated that parties traveling to Maldives to cover the presidential elections must enter the country strictly under a business visa. EC had opened applications for international journalists seeking to report on the election. However, the commission did not disclose the number of applied journalists. Immigration had also increased the duration of the Business Visas’ from 15 days to 30 days on August 29.